Before setting up your own Amazon store, it’s worth taking the time to review the basics of selling things on Amazon. Even if you’re familiar with Amazon as a shopper, the way it works for sellers is quite different. Take a quick peek behind the curtain and learn about the most valuable listing positions on Amazon, how to get your product shipped out of Amazon’s warehouses, and some costly pitfalls to avoid. 1. 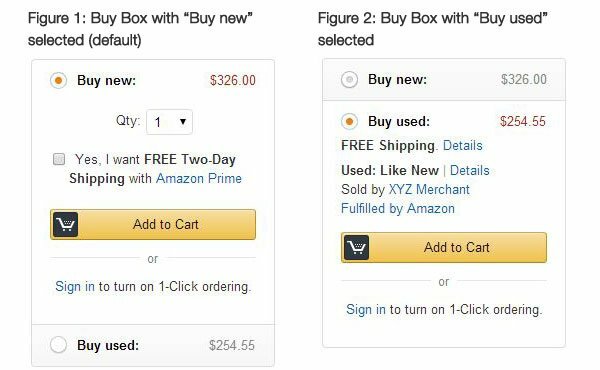 What is the Buy Box, and how does Amazon decide who gets it? When browsing on Amazon, customers will navigate to a product’s main page and click on the “offers” links below the product description (as indicated by the red circle on the screenshot below) to see a list of available sellers. However, Amazon also gives merchants the ability to compete for the coveted “Buy Box” – the CTA button in that familiar shade of yellow. $56 billion of Amazon’s and$64 billion in sales are made via the Buy Box – that’s 90% of total sales volume, so it’s imperative for any aspiring Amazon merchant to understand what the buy box is and how it works. This is the Buy Box, which drives 90% of sales. The Buy Box is the box on a product detail page where customers can begin the purchasing process by adding items to their shopping carts. Rather than reviewing a list of available merchants, the Buy Box allows customers to quickly purchase a product from the Featured Seller – the business Amazon has chosen to receive the bulk of sales. Make sure you have a Professional Seller Account. Only Professional Plan sellers are eligible for the Buy Box, so if you want to make money you’ve got to spend money – in this case, about $40 a month. Click here for more information about Amazon’s selling plans and prices. Know the difference between the Buy Box and the Buy Used Box. There are separate Buy Boxes for new and used products. Used products are not eligible to be featured in the Buy Box, and new products are not eligible to be featured in the Buy Used Box. The Buy Box vs. the Used Buy Box. If you’re selling used products on Amazon, make sure to factor the Buy Used Box into your strategy. The overall sales volume of the Buy Used Box doesn’t match that of the Buy Box, but lower competition can make it much easier for small merchants to obtain valuable product positioning. Make sure your item is in stock. If your item is out of stock, you will immediately lose your Buy Box spot to another seller who DOES have that item in stock. If you ever get a Buy Box spot, make sure to ensure that you’ve always got an adequate supply. While you can get your Buy Box spot back after you’ve restocked your inventory, it’s never 100% certain. Plus, the loss of sales due to the loss of a Buy Box is punishment enough, so make sure supply meets demand! Check your Buy Box eligibility within your Amazon Seller Central account. Select “Show When Available” from the drop-down menu to sort products by which are Buy Box eligible. If you see a “Yes” within the Buy Box Eligible field for a product, you are eligible to win the Buy Box for that product. 2. How does Amazon determine the order of the Merchant Offers List? Even if you never win the Boy Box listing, you can still make money selling on Amazon by selling through the Merchant Offers List. Many of the things that Amazon values fall in line with e-commerce best practices, so it’s in your best interest to be doing these things anyway. Competitive pricing. This includes not only the product cost but shipping costs as well. Many shoppers expect to see low prices while browsing Amazon, so be prepared to price competitively to beat the competition. Competing offers. Generally, the more sellers there are, the harder it is to climb to the top. Finding products with fewer competing merchants can make it easier to get your product featured in competitive spots – maybe even the Buy Box. Being the first to pick up on trends can mean that you find popular products before they’re popular, and set up history as a high-performing seller before the market is oversaturated with competitors. How much history the merchant has on Amazon as a seller. Merchants who have long, positive selling histories with Amazon have better chances of obtaining one of the top spots. Making sure that you address negative reviews and other customer service issues quickly and effectively are critical to ensuring that you maintain a positive sales history – too many unhappy customers and you’ll be exiled to the bottom of the merchant list. How many Seller reviews the merchant has on Amazon. Selling on Amazon is all about the reviews. Reviews have a huge impact on driving sales, and can really end up making or breaking your business. Focus on encouraging buyers to leave reviews for your products, and make sure to address negative reviews quickly and effectively. Start by selling a low-competition item to boost your seller ranking. This will increase the probability that the offer will show higher for more competitive products. When selling low-competition items, look for products that have few reviews and focus on becoming the seller with the most positive reviews for that product. Building up the total number of reviews on your Amazon Seller account will increase your legitimacy as a seller, and will help you break into higher-competition niches. Try offering a very competitive price on a popular product. This draws in bargain shoppers and can increase your seller ranking. You can check out Amazon’s “Most Wished For” list to see the most popular items by industry if you need some inspiration. 3. What is Fulfillment by Amazon (FBA)? Fulfilment by Amazon is a program where you send your merchandise to one of the many Amazon fulfilment centres to be stocked; then customers buy products from you, and Amazon ships them. This sort of arrangement allows you to focus on other aspects of running your business while Amazon handles many facets of shipping and customer service. Other benefits include extending the reach of your products to Amazon Prime members and gaining an extra push towards winning the Buy Box, even if your products have a bit of a higher price. With Volusion, merchants have the ability to set up different shipping options including drop-shipping, which allows flexibility to try using FBA. You can learn more about Fulfillment by Amazon. 4. What types of merchants tend to benefit the most from selling products on Amazon? Merchants selling unique-to-them products. Companies who produce their own products, such as a company that designs its jewellery. Since their products are unique, they face less competition from other merchants selling identical items and have more flexibility over their prices. Merchants who sell hobby or niche products. Amazon generally won’t start fulfilling or carrying hobby or niche products, so there’s less of a risk you’d have to compete with Amazon itself. Merchants selling refurbished or used products. Amazon has a huge market for these products, as they attract shoppers whose main concern is price and don’t mind waiting on shipping. It is worth noting, however, that used products cannot win the regular Buy Box spot – only the Used Buy Box, which drives fewer sales. That said, the benefit of owning your store’s URL and full branded website cannot be overstated; this gives an extra level of credibility and authority, and visitors are more likely to remember you versus someone else. Many merchants who achieve popularity on Amazon still find it essential to have control over their own e-commerce website and branding. This allows them to achieve a fully independent store presence and market to large audiences outside of Amazon through other marketing channels. 5. Why should I associate one of my products with an Amazon product that’s already listed? 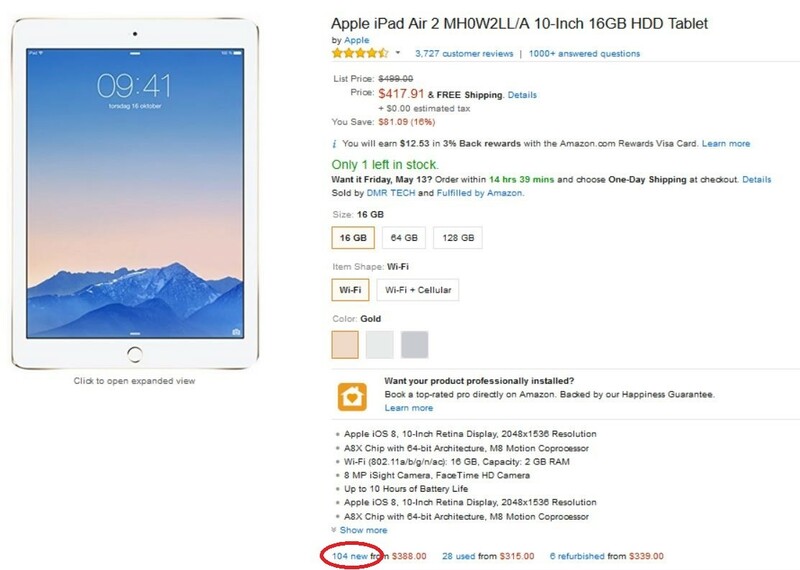 Products are only allowed to be listed once in the Amazon catalogue, so creating a second product detail page for an existing product will result in your listing being removed. By matching your product to the product detail page that already exists, your offer has a chance to be seen. 6. Why can’t I use certain shipping methods at first? Amazon doesn’t allow new merchants to offer certain shipping methods right off the bat, such as two-day shipping. These shipping methods have to be earned by establishing a history of reliable shipping at the slower shipping speeds. Offering your products through FBA is a way to bypass this, as FBA products are automatically eligible for Prime Free Two-Day Shipping. 7. Why aren’t I being compensated correctly for shipping? Amazon determines how much they think it should cost to ship a product based on the merchant’s origin, the customer’s address and the given weight of the product. However, oftentimes the amount of money that Amazon reimburses merchants for shipping won’t match the actual shipping cost. Making sure that your item weight and dimensions are listed correctly will help make these shipping estimates as accurate as possible. However, it may still be necessary to factor this into your pricing decisions – sometimes, you’ll need to increase the price of a product to offset Amazon’s too-low pricing estimates. If you’re having problems making a profit after shipping costs, you’re probably pricing too cheaply. 8. How can I increase the number of reviews on my Seller account? When selling on Amazon, reviews should be one of your biggest priorities. Shoppers look at both the quality and quantity of reviews, so it’s important to encourage buyers to leave a good review for your product (just don’t get too pushy!) Please note that merchants are forbidden from soliciting or paying for Seller Account reviews. Any sellers who engage in these practices risk having their accounts suspended. Your best bet is to give customers a great shopping experience (including aspects like product price, clear and informative customer communication and shipping reliability) so they want to vouch for you on their own. 9. Are there any policies I should look over before I start selling on Amazon? When deciding to sell on Amazon, the best advice we have is to know your business and know what you’re getting into. 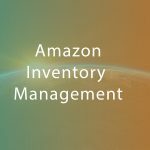 A new Amazon integration means a lot of new opportunities. By doing your homework and focusing on your business’ needs, you’ll be taking your online success to the next level in no time. If you’re interested in checking out what we can offer with Amazon integration, start your free 30 days trial today!